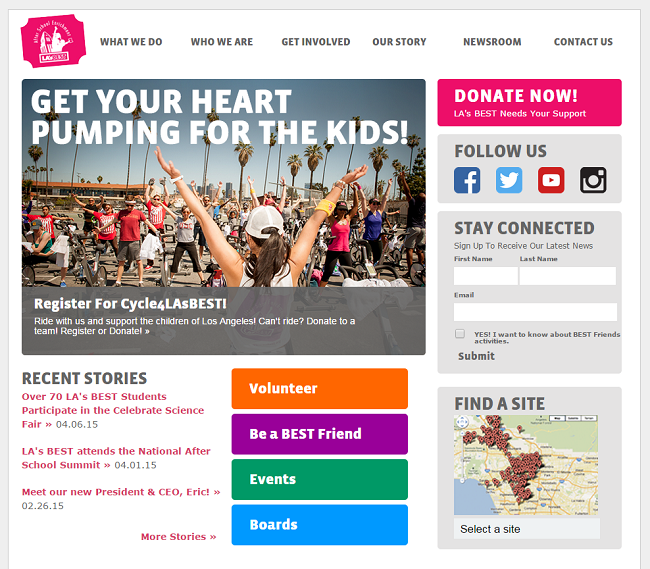 Last week, we gave you some web design best practices for making your nonprofit’s website a powerful fundraising tool. 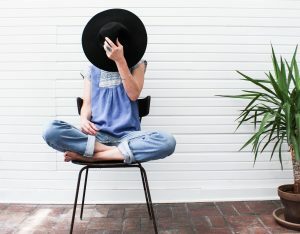 This week, we wanted to show you some websites that are using some of those same elements or techniques. 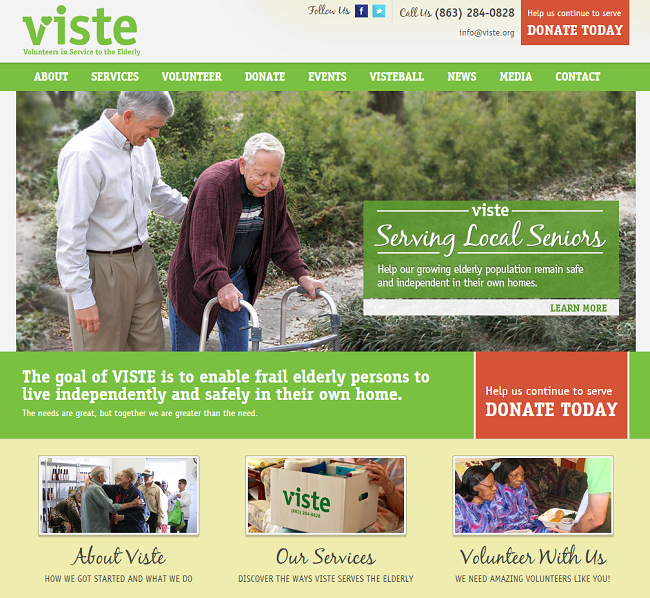 Check out these examples of awesome nonprofit websites! 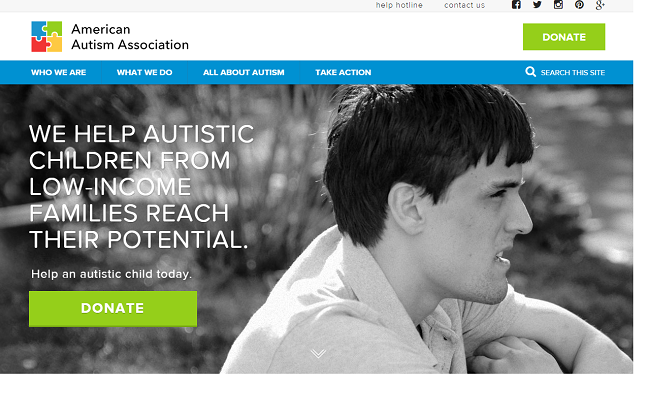 The American Autism Association’s website sticks out for a couple of reasons. First, check out the “donate” buttons. They’re big and green and very hard to miss. 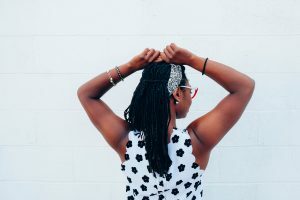 The nonprofit also includes a quick, one-line description of what they do, and they include an immediate call-to-action. They’ve also got easy-to-use navigation items and no walls of text, which makes it appealing. This page has a few elements that are really handy for its visitors. Aside from the fact that the “Donate” button stands out from the rest of the page, the photos that they included feature the actual people that benefit from their services. 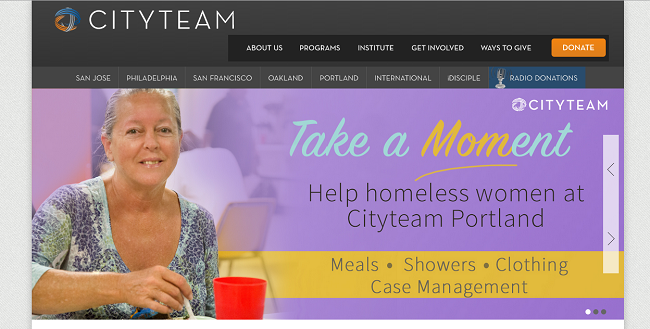 The people at CityTeam have a ton of navigation options for visitors to their sites, but they still manage to make it easy to navigate. Even with 14 different buttons at the top of the page, visitors can find the “Donate” button without a problem. They also put a creative spin on one of the pictures featured in their slideshow—it’s eye-catching and timely (remember, Mother’s Day is coming up!). 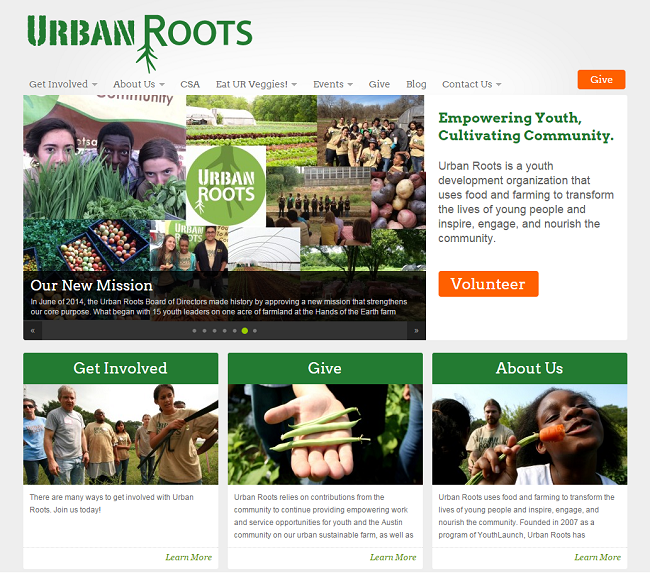 We love how Urban Roots Austin used the word “Give” for their donate button. All of the photos they use really tie into their mission of using farming to educate children, and they emphasize the work that they’re doing without seeming like they’re bragging. They also did a great job emphasizing how people can volunteer as well as donate. What’s not to love about this page? It’s easy to navigate, it’s informative, and it’s enthusiastic. It’s also not too text-heavy, has intuitive buttons, and lets users follow them on social channels or sign up for newsletters right away. Need more inspiration? 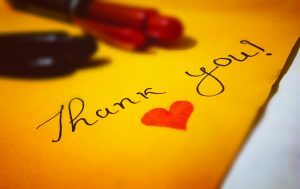 Check out this resource to for more amazing nonprofit website tips! Or, if you’re ready to get started designing (or redesigning) your nonprofit’s website, check out the top nonprofit web design companies.